Is Working Remotely Not Remotely Working? Here’s Why. It's been said, not far from here, that home working doesn't work. Why? Poor management now, or in the past. ‘Managing’ remote staff requires experience. 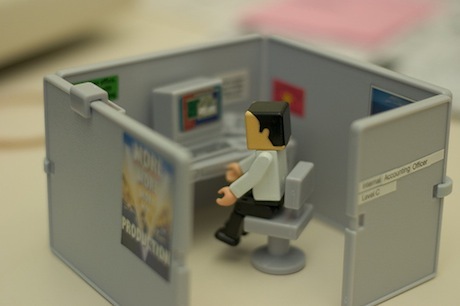 If someone is in the office, it’s easy to ‘feel’ they are being effective because they can be observed. That’s an illusion accepted by ineffective managers. Here's a thing: the business isn’t paying someone to sit at a desk, it’s paying them to be productive. If I am measuring output rather than activity I can measure that just as well if the employee is at home. 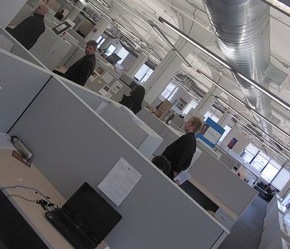 So that’s the first management failure: valuing presence over productivity. 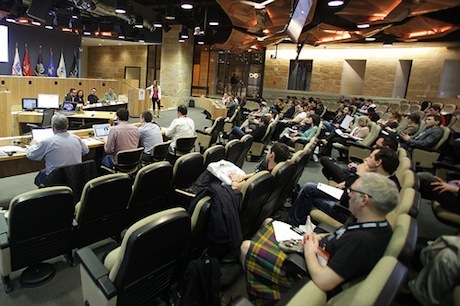 Doing Business in the USA was a highlight of SXSW Interactive, demystifying what’s involved and letting digital entrepreneurs connect in the grand arena of Austin City Hall. A welcome from Mayor Leffingwell (@TheLeeTeam - yes, he's on Twitter) started the day, with the Brits thanked for bringing the rain with them. Here are fifty tips from the mind of SXSW veteran, and Chinwag mastermind, Sam Michel. They are good, and they work - I know because I've personally beta-tested every one of them! 1. Shoes - Wear comfortable shoes. There is lots of walking - the Austin Convention Center (ACC) is so large that it could declare itself a principality and have its own royal family. They'd be on Twitter of course. 2. Pace yourself - You know that think about the candle that burns brightly? You may want to be a bright star, but the days are long, and the nights longer still. Don't over do it too soon. 3. Flexibility - Plan to change your plan. The queues for one session or party might be huge, so look at what else is on. You didn't some here to queue, you can do that back home. 4. Contact - Stay in touch on Twitter, Facebook, FourSquare, but don't forget old skool SMS. It's all about the people. Contact and be contactable. 5. Roaming Data Charges - They can be eye-watering. Lots of venues in Austin have WiFi, and a new EU ruling means you shouldn't get ripped off, well, not too badly anyway. Coverage hasn't been great in previous years, it may be better this year. There again, they say that every year. 7. Breakfast - This is the most important meal of the day, it will set you up right. For us the kings of breakfasts are Magnolia, & Downtown Jo's on 2nd Street. 8. 6th Street - Get to know it, its choca-block of party venues - very lively during Interactive, absolutely heaving during music. Walk the whole length, but perhaps not every day! 9. BBQ - You you might be in its ancestral home. Good dining options: Iron Works, Stubbs, and Salt Lick. 10. Texas - Austin State Rodeo - Get a cab there, and don't forget to get a number to get a cab back! 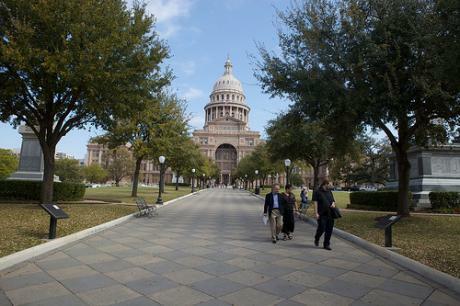 The Digital Mission companies were taken on a tour of the Capital Building in Austin. Although the state capital has moved over the course of its history, Austin has become it's resting place, nestled centrally in the state of Texas. It's quite an incredible building, steeped in History. When you mention tech and the US most people's minds jump to the coasts, usually San Francisco and Los Angeles, or Boston and New York. It hasn't always been that way for tech, and it may not always be either, at least if the state and city folks here have their way. A sleepy Austin, Texas, eased it's way into Sunday. At 2am the clocks switched to Day Light Savings time, cruelly robbing the South by South West attendees of a much needed hour's sleep. I say 'much needed', but there were people crowds up and working their way between the parties and meet ups into the early hours of the morning. It's a big part of what South By is about: Finding people, meeting people, connecting with people. In the evenings, as well as the day, deals are planned, meetings arranged and contacts made. That's how it works here. It's Saturday and I'm nestled next to a power socket and Ethernet connection on the Digital Mission stand. South by South West is in full swing around us, with the companies talking, demoing and networking their way though the show. It's hard to describe the buzz in words; the tweets on the #sxsw hash tag rush past at the rate of a couple a second and the streets and hotels of Austin are packed with people from the digital media industry. Yesterday the Palm Door was the venue for the master class sessions. The Winston & Strawn team talked the companies through the issues around setting up a US entity, both in terms of tax and legal benefits. Thinking about where you establish a US entity can be a complex issue, each of the US states has different laws and regulations. The session also covered how to avoid intellectual property issues when working with contractors, and key employment issues businesses setting up in the US should be aware of. There were lots of highlights to this year's Digital Mission to New York, but one that stands out for me was the visit to the NYU:poly Incubator @ 160 Varick Street. This initiative was announced by New York's Mayor, Michael Bloomberg, in February of this year, so it's still in its early days, although you wouldn't know it from looking around. As the Digital Mission companies were given a tour by Micah Kotch, Operations Director and general making-things-happen guy there, the first thing that struck me was the scale of the facility: 16,500-square-foot, a whole floor of the Varick Street building, with over 20 companies, and even more associated indirectly with the incubator. There is everything a start-up business could want, including a receptionist, meeting rooms, mail facilities and so on. What Makes New York's Digital Investors Tick? 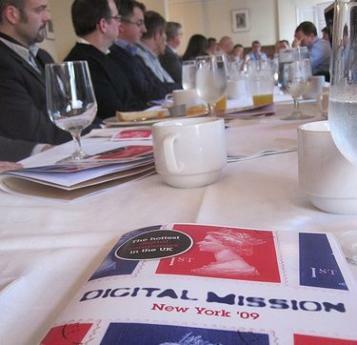 The Digital Mission to New York Found Out. A short pause for breath in the Digital Mission activities provides an opportunity to blog about the investor breakfast yesterday morning. It was organised in conjunction with The Hatchery and UKTI at the very digital Roger Smith Hotel - more on that in a moment. Web 2.0 Expo is in full flow. Yesterday the Digital Mission companies had the opportunity to check out the talks and keynotes. It was an interesting tone, as Mr Web 2.0 himself, Tim O'Reilly took to the stage to give a speech that was both a 'state of the web' address and a challenge to Google: Would they persue an open web or would they take the path of "one ring to rule them all," producing increasingly closed systems. The Digital Mission companies have arrived in New York and are well into the first day's activities, which kicked off with the Master Class session at Winston & Strawn's offices. 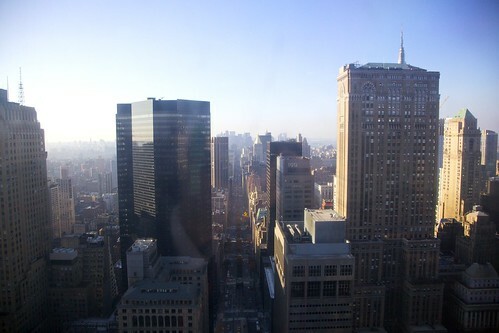 It's amazing to think that a year has passed since the previous Digital Mission to New York, but the view across New York from the Met Life Building brought the memories back. New York is a unique city, with a very distinctive vibe and culture. Doing business here is both challenging and exhilarating. The panels were a pleasant mix of new and familiar faces, kicking off with the basics of setting up in the US, including dealing with general legal issues, employment law, Intellectual property and tax. You might be a UK business, but US courts can claim jurisdiction over you. The US legal systems operates at a state level, which raises the spectre of 50 different courts reaching their long-arms out to you. It has been a busy couple of days for the Digital Mission companies here at South by South West. These are just a few highlights from the last 48 hours, much of which has centred around Stand 413 on the Exhibition floor, where the the companies have been meeting with the press and SXSW visitors. 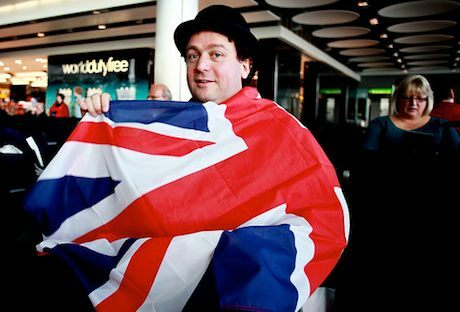 Saturday had the Brits flying the flag, wearing T-shirts with the Digital Mission logo and their Twitter IDs. It turned out to be a great way to connect with Twitter followers from both sides of the pond. It might be Austin, but I almost had to swim to the "Doing Business in the US" Master class yesterday. It is cold and wet over here, no sign of any Texan sun. It is hard for me to believe, but the last day of the Digital Mission to NYC has arrived and the 21 digital companies represented are all back home. Digital Mission - Separated at Birth? Some great keynotes here at the Web 2.0 Expo in New York, both yesterday and today. Gary Vaynerchuk was a firm favourite, at least from confering with the peeps from the digital mission companies (full list here by the way). We'll get to see Gary again at Wine 2.0 tonight.